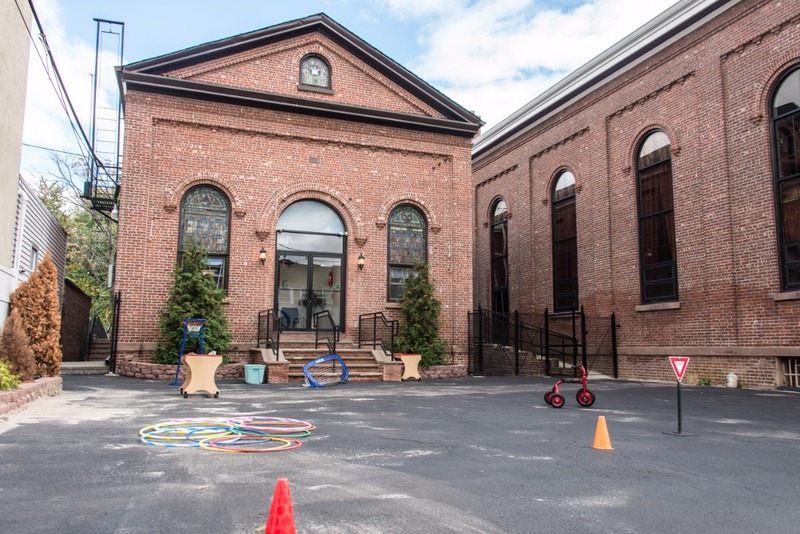 At Bergen-Lafayette Montessori School, we believe that children benefit from a well-rounded educational experience, which includes gross-motor development. 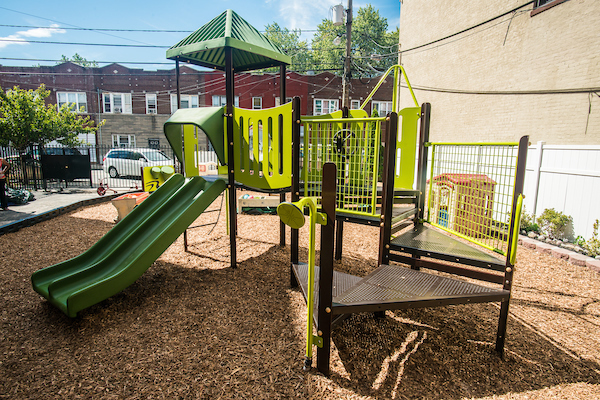 We are fortunate to have a large outdoor space for our children to run, jump, and play! 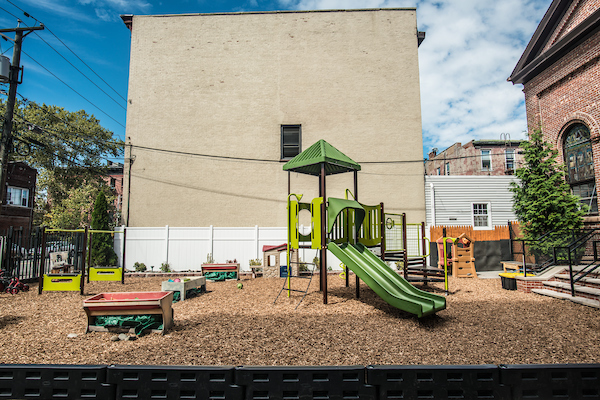 We want to make this space even better for them, by installing playground structures for them to further develop those large muscles! Please help us fund Phase 1 of the project and make your tax-deductible donation today! Consider making a donation at one of the tiers below. No dollar amount is too small! We'll personally thank you for your contribution on our Facebook page and you'll receive an invitation to our ribbon cutting ceremony! See above and a personalized thank you card for your support! See above and a matted collage/drawing created by one of the children of the school! See above and a recorded email video from the children of the school saying thank you for your support! See above, a BLMS T-shirt, an invite to our backyard bbq, and the opportunity to be a VIP on the platform at our ribbon cutting ceremony! See above and your name or business name on our playground dedication plaque! See above and lunch with our Head of School! See above and the opportunity to name our playground equipment! See above and the playground will be named in your honor! We've raised the first $21,000! Let's raise the rest! 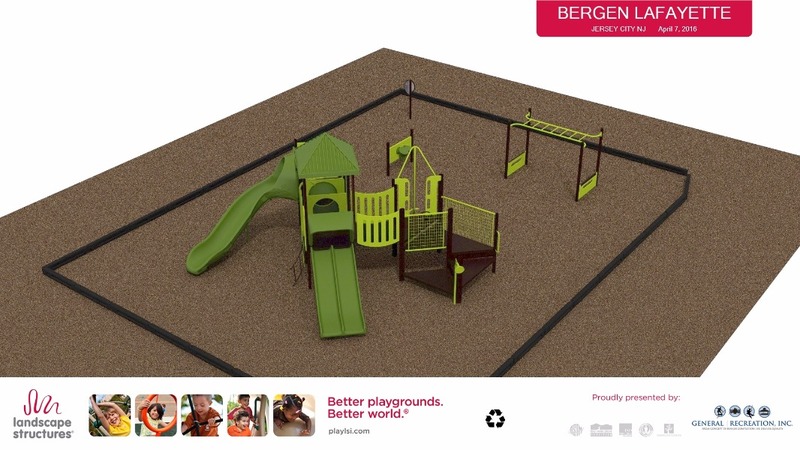 We need to raise an additional $11,000 to fund Phase II of the playground renovation. We appreciate your tax-deductible donations toward our cause! We can't thank you enough! The student of BLMS have thoroughly been enjoying their new playground! We are having a family fun day and harvest festival, in honor of our new playground, on Saturday, October 28, 2017 from 1 pm - 5 pm. We hope many of you will be able to join us for our official ribbon cutting ceremony and activities following. If you are able to attend the event, please email me at mlawson@bergenlafayettemontessori.com, so we know to expect you and can properly greet and thank you! 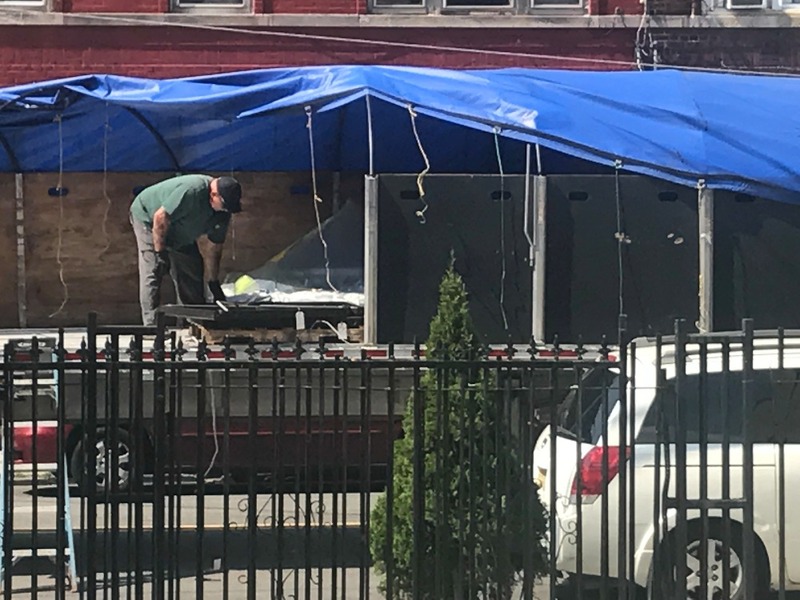 The playground equipment has arrived! Thank you to everyone who supported our endeavor. 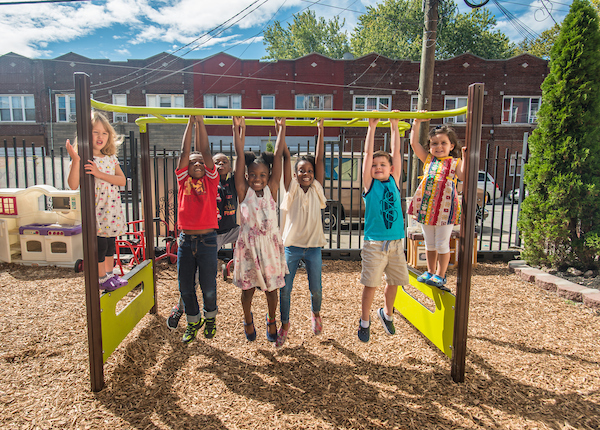 We are so excited to welcome our students back to school on September 5th, with a brand new place to play! 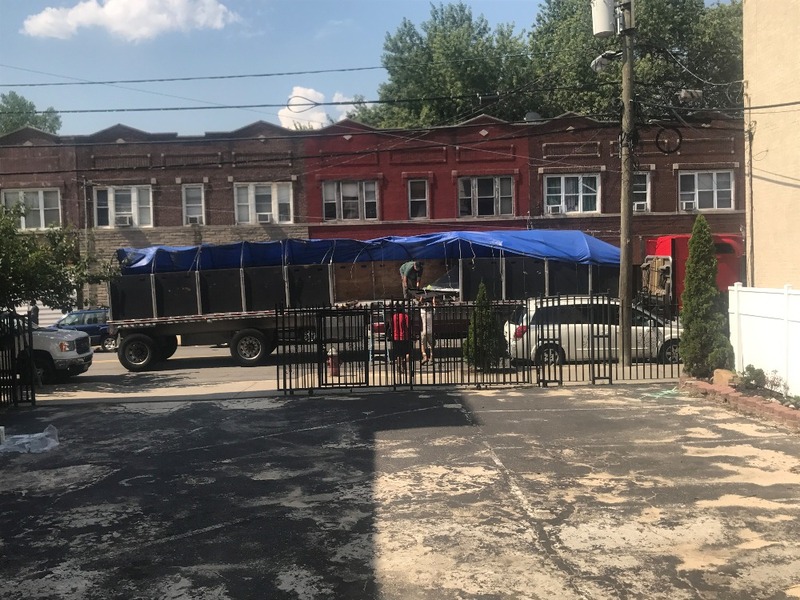 A 50 foot truck pulls up! We are very excited! The deposit has been made on the playground and the equipment has been ordered! 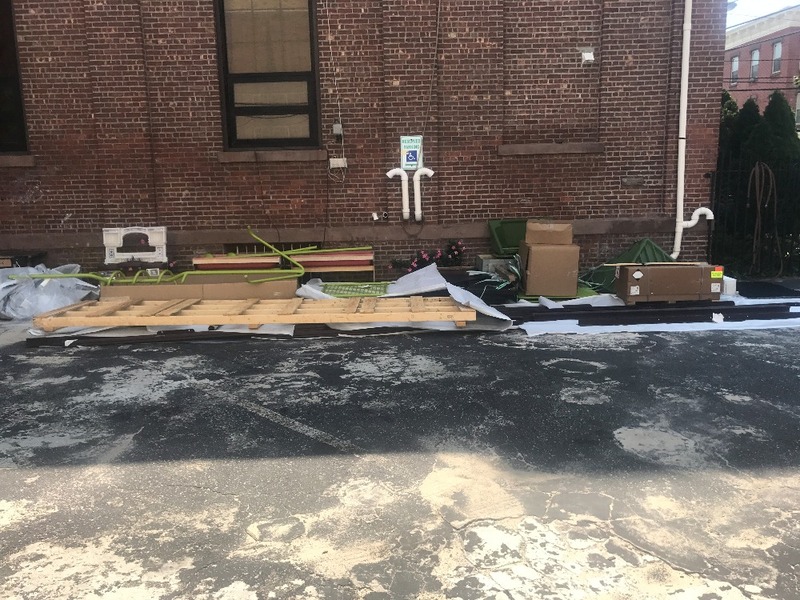 Installation is set to begin on August 14th! We hope you will join us for our ribbon cutting ceremony this fall! Thank you! Thank you! Thank you! A huge thanks to Jennie Broderick for donating at the Double Silver level! We look forward to welcoming the Broderick Family in the BLMS Community in the fall! So glad to see your involvement already! Woohoo! Let's keep it going! Facebook Mention We'll personally thank you for your contribution on our Facebook page and you'll receive an invitation to our ribbon cutting ceremony! Thank You Card See above and a personalized thank you card for your support! Children's Artwork See above and a matted collage/drawing created by one of the children of the school! Video See above and a recorded email video from the children of the school saying thank you for your support! T-shirt and BBQ See above, a BLMS T-shirt, an invite to our backyard bbq, and the opportunity to be a VIP on the platform at our ribbon cutting ceremony! Name Plaque See above and your name or business name on our playground dedication plaque! Lunch See above and lunch with our Head of School! Name Equipment See above and the opportunity to name our playground equipment! Thank you for purchasing the holiday play DVDs!